Reading a Latin dictionary entry is easy once you know what to expect. A good Latin dictionary entry will give you all the information you need to understand and use a Latin word. Often the back of a Latin text book will include a vocabulary list or glossary whose entries will closely resemble Latin dictionary entries. 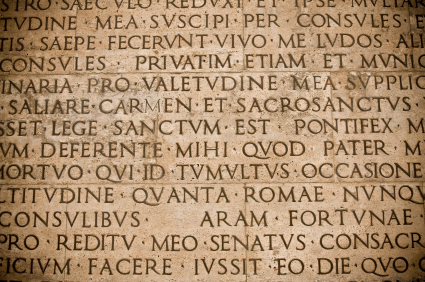 In order to make the most efficient use of the resources in their text books, all Latin students should know how to read a Latin dictionary entry. This also goes for students who may have not studied Latin for too long and consequently don’t yet own a Latin dictionary. Tip: Review this list before you make Latin vocabulary cards to make sure your cards contain all the information you need! For example, girl – puella, puellae could also be listed as girl – puella, -ae because the stem, puell-, is the same for both. It is important for Latin learners to memorize both nominative and genitive singular when learning a noun, as both are needed for declension. Dictionary entries for nouns will always contain the gender of the noun. The gender is essential to know when declining a noun and when using it (or reading it) in a sentence. The three genders, masculine, feminine and neuter are commonly abbreviated m, f, and n.
Some nouns will have more information associated with them, such as those that have genitive plurals that end in -ium where a -um ending would be expected, and those that have additional irregular forms. There are three varieties of adjectives: those whose nominative forms are different in each of the masculine, feminine and neuter (3 termination), those whose nominative forms are the same in the masculine and feminine, but different in the neuter (2 termination), and those whose nominative forms are the same for all three genders (1 termination). The majority of adjectives fall into the first category, and their dictionary entries will give the nominative singular form for the masculine, feminine and neuter, in that order. For example, big – magnus, magna, magnum. Whenever an adjective has three forms in its dictionary entry, it is a 3-termination adjective. As with nouns, when the stem is the same for all three words, just the endings may be given, e.g. big – magnus, -a, -um. Adjectives whose nominative forms are identical for masculine and feminine nouns will have the nominative masculine/feminine form followed by the nominative neuter form. For example, similar – similis, simile. You can recognize a 2-termination adjective like this because the neuter (second) form will end in -e. Again, when the stem is the same, it may be omitted to save space in the dictionary. One-termination adjectives have dictionary entries that resemble those of nouns more closely than those of other adjectives. Their entries give the nominative singular for all genders followed by the genitive singular for all genders. You can recognize these adjectives because the genitive (second) form will end in -is. For example, huge – ingens, ingentis. Since the stem of the nominative and the genitive are often identical except for the nominative’s final -s becoming a -t- in the genitive, sometimes space-saving dictionaries will write entries like this: huge – ingens, -entis. Remember, since adjectives can modify nouns of any gender, a specific gender will never be given in the dictionary definition of an adjective. In Latin, verbs have four principal parts, that is, four parts that are essential to know in order to conjugate a verb. They are normally listed in the verb’s dictionary entry. The English translation of the principal parts of the verb “praise” laudo, laudare, laudavi, laudatus are “I praise, to praise, I praised, (having been) praised.” The first two principal parts are used to form the tenses in the present system and are found in books of all levels. The second two principal parts are used to form the tenses in the perfect system and are sometimes omitted from elementary Latin books. However, it is strongly recommended that you memorize all principal parts of a verb when you first learn it, so you won’t have to spend time re-memorizing later on. Just as in nouns or adjectives, identical stems of verbs are sometimes left out of dictionary entries to save space. For example laudo may be written as follows: laudo, -are, -avi, -atus. For verbs that don’t fit easily into this form, slight adjustments are made. The most common are deponent verbs (verbs with passive forms but active meanings) where the fourth principal part is omitted. Other verbs may be “defective” and not have fourth principal parts, either. Other information such as what case or construction can be expected following a verb may also be found in a dictionary entry and is useful to include when making vocabulary cards. These “little words” don’t usually have more than one form, so their part of speech is indicated by an italicized prep. or adv. Prepositions are always followed by nouns, so their dictionary definition will indicate what case they take, and this information should be memorized when they’re learned.